It's Christmas at Valley Rise Farm, the time each year when the Moss family, along with their friends and neighbors, gather to share love, laughter, music and the miracle of the season. But this year, for Carter Moss and Staci Henderson, there are more pressing issues to be dealt with. Carter has a new stepmother, another wedge in his already strained relationship with his father. Staci juggles school, a job and the recent loss of her grandfather, along with her mother's often unpredictable moods. To make things even more complicated, while they may have grown up together, been childhood friends and even confidantes, for Carter and Staci, things have taken an awkward and unexpected turn. Join familiar faces from the Miracle at Valley Rise series and meet the next generation for an unforgettable holiday getaway. 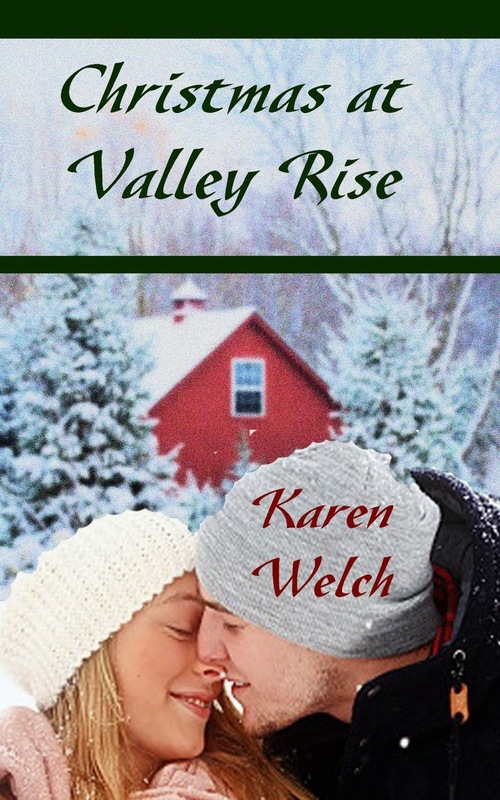 As always at Valley Rise this time of year, there's the promise of snow, a miracle or two, and of course, a little romance in the crisp mountain air.